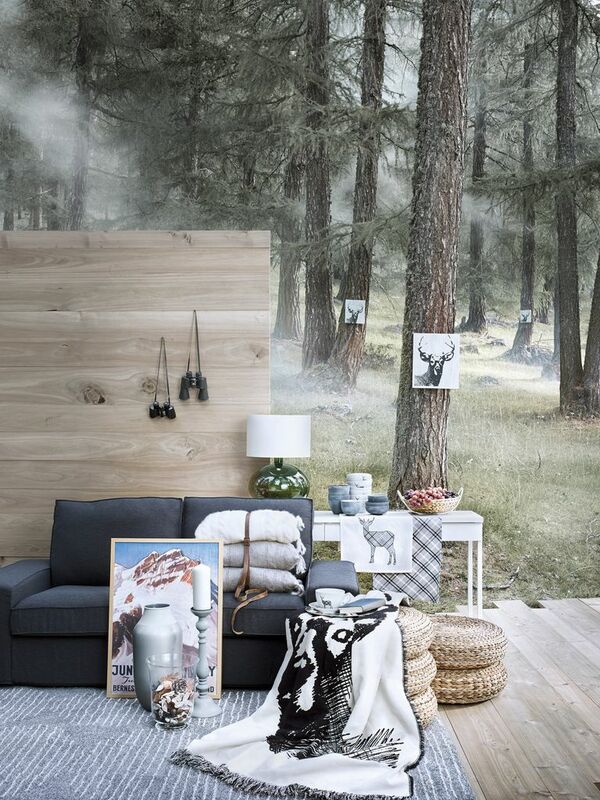 В Last October, IKEA presented her collection CHALET in Russia. This year, loved by many Russians updated collection returns to IKEA stores in Russia and the 2 December. Briefly, we recall the collection CHALET - Alpine atmosphere is recreated in the furniture and home furnishings, warm gentle tone prevailing in the collection will create comfort in your home for a long time and the old Swiss will give you the feeling of a home of peace and tranquility. The collection includes: blankets, sheets, various interior design and kitchen utensils. The majority of items of the collection are made of natural materials. By the way, with a collection CHALET we decided to open a new section, which will be dedicated to the best that we encountered in the "universe" IKEA - from Christmas toys to advertising campaigns. Meet our new column Our i-Top and the first article in it - Our i-Top Alpine chalet collection. And finally a few photos of the new collection.